Great obervational viewers of life. Our Bug Viewers and Specimen Jars enable kids and students to investigate bugs and samples from all angles. 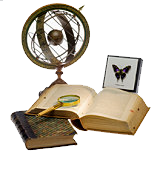 We offer models with magnifying lenses for up close observation, as well as vents to keep living specimens alive and fresh. 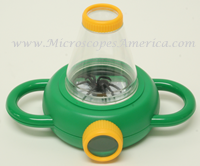 Examine little creatures up close in this 3" acrylic bug viewer. Each canister features a 2X magnifying lens built into the lid, with 8 breathing ducts for proper ventilation and a measuring grid in the bottom. They're also useful for close-up examination of flowers, plants, stamps, and coins. • It's great to use with friends since two can view at one time!